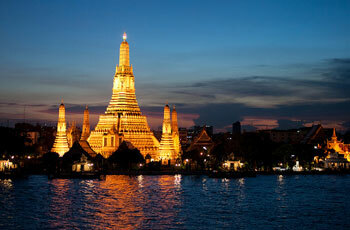 Thailand is a mecca for many tourists, with millions flooding "The land of smiles" each year to get away from it all. But what many people don't know, is that even something as simple as owning a deck of playing cards is illegal – with many a tourist being "shown the door" for passing the time by playing a hand of poker in a public place. Locals aren't as lucky though, with many spot fines being issued. Only the government sponsored lottery and horse race betting are legal forms of gambling. But for a country where sports betting is a popular past time, and betting on any form of sport other than horse racing is illegal, most punters prefer to use bookmakers from neighboring countries – or even the more dangerous local underground sport books. Online sports books are also not allowed, but some do exist. With the internet censorship prevalent in Thailand, the government is quick to swoop in and shutdown any operation that is found, with any and all funds confiscated with no chance of return. Anyone caught gambling is subject to a fine of a 1000 Baht (approximately US$30) and up to a year in jail. Although local police tend to overlook betting in the most part, they do every now and again conduct raids on known hot spots. As an example, with the 2014 World Cup around the corner, they conducted various raids and arrested over a thousand people for illegal sports betting – mostly bookmakers but numerous punters as well. A survey conducted after the World Cup found that close to 43 Billion Baht (US$1.2 Billion) was gambled by punters from Thailand - most at local bookies, but many made at betting sites outside of Thailand. These foreign online bookmakers, who's sites are hosted outside of Thailand, and who the Thailand government can't shutdown, are often frequented by punters. These sites are usually hosted in English, but many cater for the Thai players by also providing a Thai language option. Joining these "foreign" online sports books aren't easy either for Thailand players – internet censorship software installed at service provider level block many of these sites. Players are often redirected to the Thai Ministry of Information and Communication Technology's website when they try to visit these sports betting sites. Even the banking institutions are well known for blocking any payments to online sports books. Most of the banks in Thailand prevent any funds from being transferred to and from any online gambling sites. But with payment providers like EntroPay and Neteller, Thai punters can and do bypass these banking restrictions. Despite all "hurdles" to overcome, many Thai punters still enjoy betting on various sport disciplines, whether it be by visiting a neighboring country, chancing their luck by using a local or underground bookie, or by logging onto an online sport book and using a payment provider.